Canada is in urgent need of a progressive, innovative and effective defence and security policy for the 21st Century. Peggy Mason provides insight into why the United Nations is central to making that happen. Much has been written over the past two years on the budget constraints facing the Department of National Defence and the hard choices that must be made – a dilemma only exacerbated by the Federal Budget released in mid-April. But surely it is putting the cart before the horse to have this discussion without first establishing the policy framework, goals and objectives, and priorities in relation to which the funding decisions must be made. There is an urgent need to update Canadian defence policy for the 21st century through a long-established Canadian democratic practice almost entirely abandoned by the Harper government – the issuance of a Green Paper on which broad public and expert consultations are based, followed by a White Paper, firming up the government’s position in light of these consultations. A central theme to be explored in the Green Paper would be whether it is time for a rebalancing of Canada’s focus on NATO (and coalitions of the willing) in favour of UN-led peace and security initiatives. 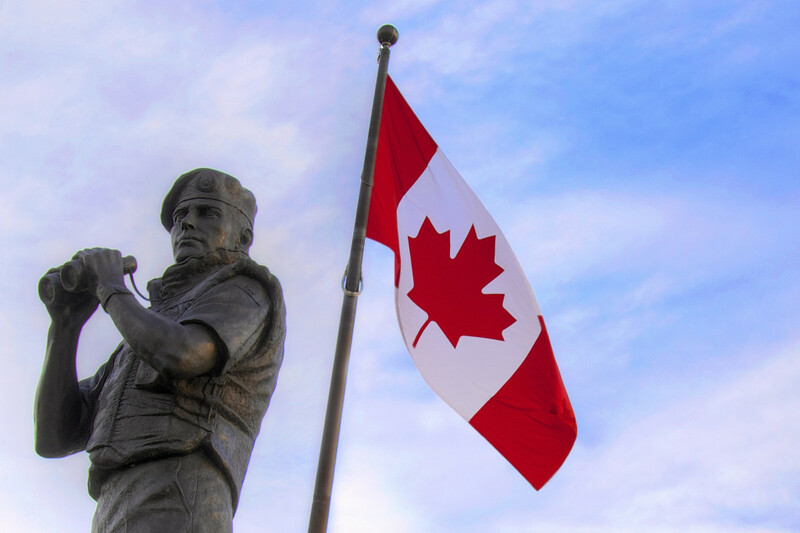 The public consultation document would include a proposed Canadian policy framework of guiding principles and considerations for Canadian intervention in military operations abroad. A parallel review should also take place regarding our national security policy and whether to re-orient the current counter-terrorism strategy to focus much more on rule of law and governance solutions, and correspondingly less on chiefly military responses. In a nutshell, then, my central point is that giving priority to UN-led peace and security initiatives is the best way to pursue comprehensive, sustainable political solutions to essentially political problems, albeit generally with an important supporting security dimension. The UN has learned a lot about conflict resolution since the first military peacekeepers were deployed in UNEF 1 in 1956 to serve as a buffer between the Egyptian and Israeli forces and to provide impartial supervision of the ceasefire. The great tragedy for Canada is that, having been such a pre-eminent UN peacekeeper for so long, our disengagement from UN Blue Helmet operations post UNPROFOR in former Yugoslavia in 1995 has left us, institutionally, almost completely unaware of the transformation in the planning, conduct and management of UN-led operations since then. Fundamental reviews have been carried out and key lessons identified. New command and control structures and sophisticated integrated planning mechanisms and field support structures for missions have been put in place. Sadly, the message has not gotten through to the military and foreign policy structures of many NATO member states, removed as they now are from this UN activity. Specifically the UN has learned that peacebuilding is a complex, long-term process of helping the conflicting parties to create the necessary conditions – political, economic, security – for a sustainable peace. At the centre of this effort is the peace process. Complex political problems lie at the heart of violent conflict and require political solutions, negotiated and agreed to by the parties. A robust security element may be essential in both the negotiation and the implementation phases but it is a supporting element nonetheless. As the Afghanistan debacle has so dramatically and tragically illustrated, no amount of military “robustness” and professionalism on the part of international military forces can make up for the lack of a credible peace process. For a collective enterprise of this magnitude to succeed – as UN peacekeeping does more often than not – the international effort must be perceived as legitimate and impartial by all or most of the parties to the conflict. And it must have the broadest possible international support within a coherent legal and operational framework. Only the UN Security Council can mandate such an operation and only the UN Organization can even notionally lead it, if only because there is simply no other single entity acceptable to the international community. Headed by a civilian in the role of the Special Representative of the [UN] Secretary-General (SRSG), with all the other components, including the military and police reporting to him or her, the very structure of the UN PKO reflects the centrality of the peace process. This stands in sharp contrast to NATO-led missions, authorized by the UNSC to assist in stabilizing a conflict. How can the military effectively support the peace process under a separate command structure? My ten years of training exercises with Senior NATO commanders have demonstrated time and again that a divided command structure at the operational level is a recipe for an ineffective command structure. And further note that, while the NATO-led mission is typically mandated by the UNSC to “co-operate” with the UN mission, its political guidance comes from the political lead in NATO – the North Atlantic Council – which then has to coordinate with the UN Secretary-General. So the political leadership at the strategic level is divided as well. There is another stark problem with NATO-led stability operations: they lack the perceived legitimacy and impartiality of UN-led operations precisely because their political and military leadership represent a very specific set of countries and interests, UN authorization and the presence of some non-NATO countries within the coalition notwithstanding. This not only undermines coherence in the international effort, but also is a gift to spoilers on the ground decrying “foreign occupation.” Of course narrow national interests are still in play in the capitals of UN troop contributors, but the structure of a UN peacekeeping mission at least works to mitigate this tendency in both perception and reality. As recent UN review efforts have underscored, there is also a complete misperception by advanced militaries about UN command and control versus that of NATO. An integrated mission under the overall authority of the SRSG allows UN command and control to be decentralized to the operational level in contrast with the completely centralized, top-heavy and cumbersome command structure operating in NATO. Thus the main problem for UN command and control is the relatively narrow one of how to ensure appropriate strategic oversight, particularly with a view to maintaining the ongoing support of member states. In contrast, NATO operational command and control is stymied both by the reporting up requirements before action can be taken and the limitations to those actions being carried out at the tactical level due to national caveats. To recap, the main comparative advantages for UN peace operations are (1) its integrated command structure under civilian authority, which in turn reflects the primacy of the peace process and which facilitates unity of purpose, and (2) the fact that the UN is the only organization through which the forces of the P5 and all major powers (including the rising and regional powers) can jointly participate. Only the UN therefore offers the option of a politically diverse and operationally capable mission – if, and only if, the P5 and other major powers invest in UN operations. The demand for UN Blue Helmets has never been greater. Sixteen missions are currently underway, comprising over 120,000 military, police and civilians. (Of these 90,000 are blue helmets – although Canada currently contributes only 34 troops or military experts and 84 police). The latest Report of the UN Secretary-General on the progress of the Mali mission cites significant gaps in both military personnel and equipment, in one of the most logistically demanding operations the UN has ever undertaken, given the distances involved and the lack of infrastructure (as well as the significant security challenges posed by armed groups including UN-listed terrorist organizations operating in the north of the country). Significantly, some NATO countries, including France, Germany and Italy, are beginning to re-engage and it is time for Canada to do the same. All rhetoric aside, the only way out of the Libyan and Syrian quagmires is through UN-facilitated, internationally backed peace negotiations, followed by robust, comprehensive UN peacekeeping missions. And without those peace deals in Libya and Syria, there is no sustainable solution in Iraq either. Peggy Mason, a former Canadian ambassador for disarmament to the UN, is the president of the Rideau Institute on International Affairs, an independent advocacy and research think tank in Ottawa.